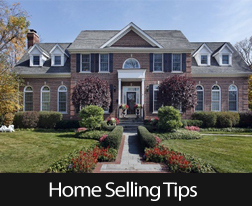 Home staging is the art of preparing a home to be sold in the marketplace. The goal is to not only attract a buyer’s attention, but also to maximize your investment. Since selling a home can be challenging, it’s important to learn the following tips on how to improve the look of your home starting from the outside. Get rid of the junk. While it might seem obvious, many homeowners overlook the power of cleanliness. Removing all of the junk from around your home can liven up the property without costing you a dime. Walk around the outside of your home and remove all the trash and scraps of paper lying around, including wood chips and unused project materials. It’s also important to remove gardening tools, toys, and garbage cans; store everything in its proper place. Next, clean the gutters and the roof. A seasonal task, cleaning the gutters is often overlooked once the property is on the market. However, potential buyers are attracted to properly maintained homes, so don’t be surprised if they check the gutters. To get ahead of the game, clean and sweep your gutters and the roof to get rid of moss and debris. Maintain your lawn. If you have grass, make sure that it is freshly mowed and maintained during growing season. Water, fertilize and cut back all flowers, bushes, and trees. In addition, remove all unhealthy or dead plants, including weeds. Maintaining your lawn while your property is on the market will keep it looking lush and healthy. And while you’re outdoors, don’t forget to remove clutter and unnecessary items from patios and decks.